.Josh Charles The Hotel de Espana's in Spain? I can not wait for season 3 TGW start. LisaE is beautiful. 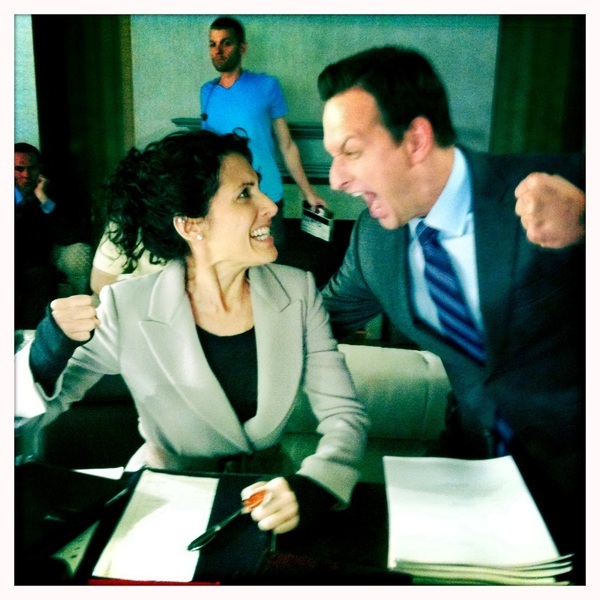 Josh Charles @lisaedelstein Cute pic! Looks like you guys are having a lot of fun--throw back to Sport Night! Josh Charles I hope at least this time you called her. Or sent flowers. Josh Charles Bobby Bernstein/Dan Rydell, I'm officially in heaven! Actor. Salsa Dancer. Albert Brooks fan.